Daniel Griffin is an experienced wealth adviser with a valuable background in taxation. He provides his clients with tailored advice suitable to their personal and financial circumstances. Daniel has a passion for financial markets and investment and keeps abreast of financial news and trends to better inform recommendations he makes for his clients. Daniel always takes into consideration the recommendations of Dixon Advisory’s Investment Committee to help ensure his advice meets his client’s investment objectives, personal circumstances and tolerance to risk. 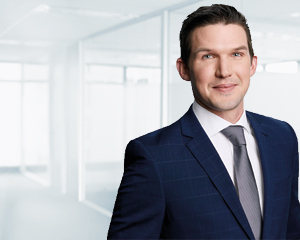 Prior to joining Dixon Advisory, Daniel worked at the Australian Taxation Office as a graduate and later worked within the tax fraud and property division. He has a Bachelor of Commerce from the University of Canberra and is authorised to provide investment advice by the Stockbrokers Association of Australia.